Tim Laye, who founded the Moral Majority with Jerry Falwell, has extreme anti-Catholic opinions that have landed him in trouble at times. He also has been associated with “The Moonies” and accepted $500,000 from a Moonie operative. That’s a strange association for such a conservative evangelical. Jimmy Akin, a Roman Catholic speaker and apologist who writes at Catholic Answers (see here), once wrote a lengthy takedown of the Left Behind franchise of books and films that so badly distort the meaning of the books of Revelation and Daniel and other pieces of the Bible. The title makes it pretty obvious that Akin is no fan of LaHaye and the Left Behind franchise. Again, Akin’s article is lengthy, but very readable and quite powerful in exposing the anti-Catholic prejudice in the Left Behind novels and shedding light on LaHaye’s less-than-sterling character. You can read it here and I commend it to you. 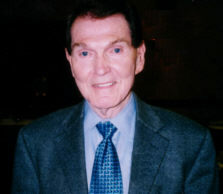 Tim LaHaye was born in 1926 in Detroit, Michigan. He fought in World War II and afterwards attended Bob Jones University in South Carolina. Bob Jones is a Fundamentalist school known for intense anti-Catholicism. It also did not admit African American students until the 1970s and, between 1950 and 2000, maintained a policy against interracial dating among students. The school explained that intermarriage among the races would further the cause of “One World Government” and thus the Antichrist. While attending Bob Jones, LaHaye met his wife, Beverly. He also began to pastor a church during this time. In 1956, LaHaye became the pastor of Scott Memorial Baptist Church in El Cajon, California, just outside San Diego. While there, he and his wife began a radio program called The LaHayes on Family Life, which sought to promote family values from a Fundamentalist perspective. Also while in the San Diego area, LaHaye established Christian Heritage College. His literary flair expressed itself in writing a number of popular (and contentious) books, including Spirit-Controlled Temperament, Battle for the Mind, The Battle for the Family, and Battle for the Public Schools. In the 1970s he began to publish books on the subject of Bible prophecy, including The Beginning of the End andRevelation Illustrated and Made Plain. The LaHayes have been active in politics. Tim was a co-founder of Jerry Falwell’s Moral Majority and founded a number of his own Christian political action groups as well. Beverly founded Concerned Women for America, a rival of the National Organization for Women that has a membership substantially greater than NOW. In 1987 Jack Kemp named Tim LaHaye as national co-chair of his presidential campaign, but LaHaye resigned days later when newspapers published anti-Catholic and anti-Semitic remarks he had made. These included references to Catholicism as “a false religion” and to Jews being responsible for the death of Christ. Subsequently it came to light that, during the 1970s, LaHaye’s church had funded Mission to Catholics, a virulently anti-Catholic ministry run by former Carmelite priest Bart Brewer. Scandal continued to dog LaHaye when it was revealed that he had connections with the Unification Church (“the Moonies”). The head of the Unification Church is Sun Myung Moon, who has proclaimed himself “the world’s new Messiah” and “the Lord of the Second Advent.” LaHaye was the chair of Moon’s Coalition for Religious Freedom, and is reported to have received at least half a million dollars in funding from Moon’s associate Bo Hi Park. LaHaye and his wife have attended and spoken at Moon-sponsored events, though they have made it clear that they do not endorse Moon’s theological ideas. LaHaye’s association with Sun Myung Moon is especially perplexing. As a man who has written so many books warning people about the Antichrist, LaHaye is one of the last people one would expect to ally with a man who literally is a false Christ. 18. Let’s be candid here: If your church library has Left Behind novels and videos, you might want to learn more about co-author Tim LaHaye and question why the church carries such awful theology peddled by a man driven by more by profiteering than legitimate prophecy.